Moscow has condemned US military proposals to develop new, smaller atomic bombs mainly to deter any Russian use of nuclear weapons. 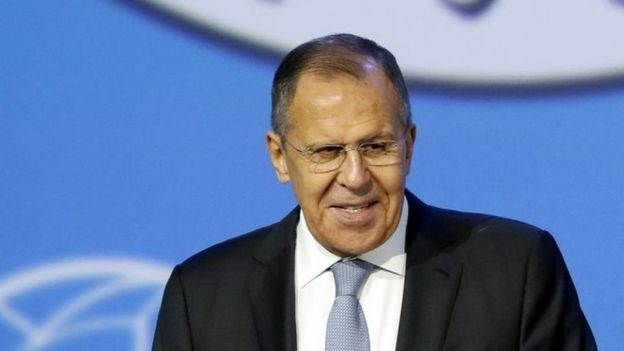 Russia’s foreign minister called the move “confrontational”, and expressed “deep disappointment”. The proposals stem from concerns that Russia may see current US nuclear weapons as too big to be used. This could mean, according to the US military, that those weapons are no longer an effective deterrent. The Russian foreign ministry accuses the US of warmongering in its statement, issued less than 24 hours after the US proposals were published. Russia says it will take “necessary measures” to ensure Russian security. “From first reading, the confrontational and anti-Russian character of this document leaps out at you,” the statement says. A foretaste of Mr Lavrov’s anger came in a statement on Friday from the Russian senator and defence expert Frantz Klintsevich, who dubbed it “a very dangerous bet on breaking up the world strategic balance of forces” in favour of the US. What is behind the US proposals? They are not just about Russia. 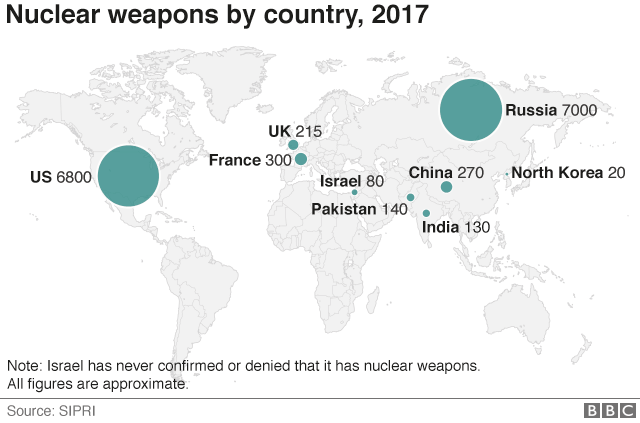 The US military is worried about the nuclear arsenal becoming obsolete and potential threats from countries such as China, North Korea and Iran. But a major US concern is over Russian perceptions. The document argues that smaller nuclear weapons – with a yield of less than 20 kilotons – would challenge any assumption that US weapons are too massive to serve as a credible deterrent. Such bombs would have the same explosive power as the one dropped on the Japanese city of Nagasaki at the end of World War Two, killing more than 70,000 people. “Our strategy will ensure Russia understands that any use of nuclear weapons, however limited, is unacceptable,” the document says. The proposed “tactical” nuclear weapons would not increase America’s arsenal, which is already considerable, but would repurpose existing warheads. Critics have accused the Trump administration of challenging the spirit of non-proliferation agreements.